Headed to Las Vegas for all of the huge college basketball action? Don't worry, we've got you covered. For those with a burning desire to embrace Vegas and create an unforgettable experience, this is a foolproof guide to having the ultimate sports weekend, before and after every exciting buzzer-beater. We're talking live action, finding beauty in sports books, enjoying the nightlife, seeing a show and yes, even getting outdoors. 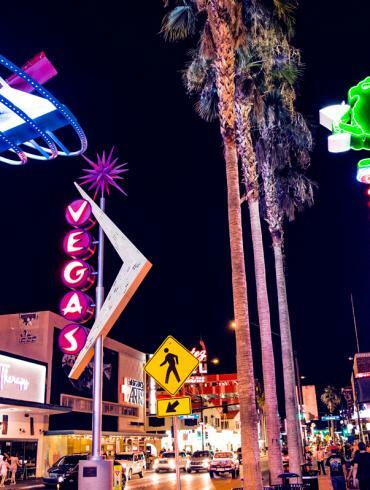 Vegas is one of the rare destinations where your trips will consist of everything. Memories are made here, especially when it comes to sports. Cruise down below and find out how you can pull off the ultimate sports weekend. First thing you need to do when arriving in Vegas is throw down your bags, avoid unpacking and head out to find yourself a sports book for all of the incredible tournament action. Call it the official kick-off to the ultimate sports weekend. Vegas remains one of the few places in the country where you can legally bet on sports. Why not take advantage when you're hanging around this entertainment destination? A series of tightly run and easy to figure out sports books are scattered across the luminous Vegas skyline. You can hit the MGM Grand, Mandalay Bay, Golden Nugget or Caesar's Palace—to name a few—to test your luck. Picking out a sports book is a critical component to realizing the ultimate Vegas weekend, especially when the tournament is under way. There's no sport better equipped for Vegas than professional boxing. For decades, boxing has thrived here becoming a hall of fame for memorable matchups and controversy. No matter who you see, it's all about checking off stuff on your list. Seeing a professional boxing match is well worth the price of admission. Vegas is home to excellent sports bars. Digs like the Four Kegs and Taps Sports Bar in the MGM Grand are two rowdy, raucus spots filled with fans. You can grab a drink at any sports bar and experience a totally different feeling than being at home. The Vegas atmosphere simmers, the flow of games are unrelenting and the amount of people jammed in a place at one time makes it have a big fight feel. A Vegas weekend focusing on the premise of sports wouldn't be complete without hitting a local establishment for a drink, some grub and an out-of-town experience you won't find anywhere else. Now that our sports weekend has hit overdrive and is mashing up our brains, the time to break away is at night. Vegas isn't just a renowned sports town. It's a mind-bending experience. Few—if any—places on Earth have the volume and precision of stage shows like Vegas. You can see anything here. Throwback acts, Celine Dion's showcase, Criss Angel or the Blue Man Group. The choices are endless and vastly different. You aren't doing Vegas justice, sports-related or not, unless you witness a show. It's part of the luster, the magic and the overall feel which makes this town so special. Catching the NHL's Golden Knights, who have risen to become one of the top teams in the league in their inaugural season, would be a special element to add into your sports journey. Attending the inaugural season for a fresh-faced franchise is a rare opportunity. What better time is there than now to check out a game? Fantasy sports happen to be a year-long excursion where amature general managers hunt for bragging rights over their friends. In Vegas, fantasy sports is taken to a different galaxy. Imagine flying out to Vegas and host a fantasy draft with your buddies? Getting out of your basement, avoiding the monotony of "same place, same time" is sort of what Vegas does best. Topping that feat would be nearly impossible. Vegas is a sports town. 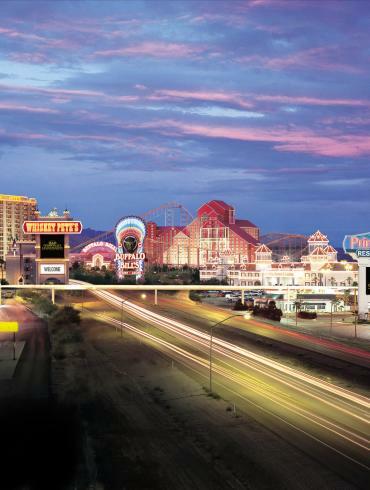 Combined with the sizzle of the strip, you could pick any of the great casinos or restaurants and create serious draft day memories—certain casinos offer actual fantasy draft packages. Ending a sports weekend is going to be tough. Withdrawal will set in as visions of school and work come dancing in. The best way to keep those minions at bay is by stuffing your face at one of the many incredible restaurants in the area. You can't go wrong with mouth-watering eats in Vegas. Any food, any genre, any style. It's all here for the tasting. Mastery celebrity chefs run like tap water out here. It's Vegas, for the Raiders' sake. Wrap your weekend up the right way. With a sitdown meal at a place like Sinatra, Eat, Le Cirque or Raku—all excellent choices. Pick a meal prepared for the Gods, situated beneath the neon lights of one of the greatest destinations in the world.